Abstract: Urban space structure and its simulation are important prerequisites for urban scientific management and planning. Based on the extreme learning machine, this paper proposes an urban extended cellular automaton model (ELM-CA) that takes into account the differences and intensities of different non-urban land conversions into urban land use. 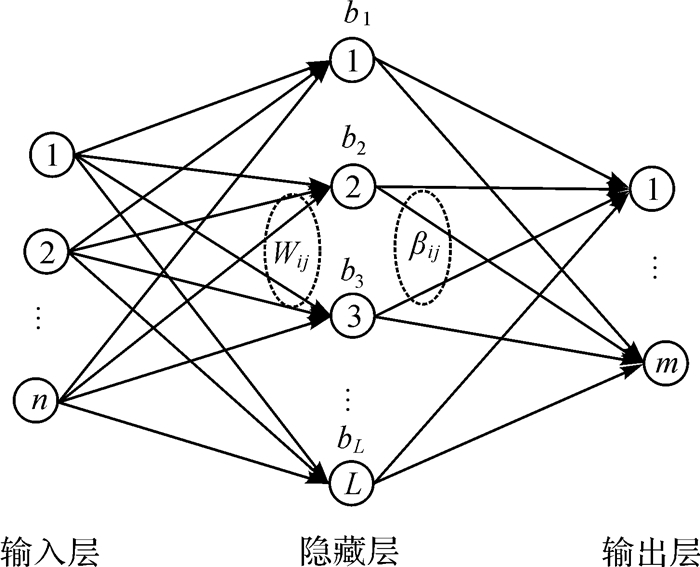 The experimental results show that the urban simulation accuracy of ELM-CA model reaches 70.30%, which is 2.21% and 1.54% higher than logistic regression and neural network respectively. The FoM coefficient is increased by 0.025 9 and 0.017 9 respectively, and the Kappa coefficient is improved by 0.024 7 and 0.016 9 respectively. 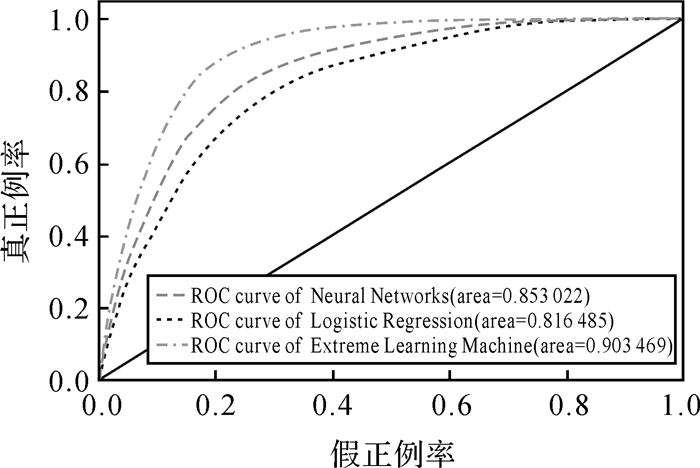 And the Moran Ⅰ index is close to the actual value, which shows that the extreme learning machine model can simulate and predict the spatial shape and change of urban expansion more effectively than logistic regression and neural network; the training time of ELM model is only about 1/3 of the neural network, it reflects the advantage of ELM learning speed; In the small sample case, both logistic regression and neural network are significantly affected, and the extreme learning machine can maintain good performance, which makes it have obvious advantages when the sample is difficult to obtain. The comparison between urban expansion simulation and real data of two phases shows that the urban extended cellular automata model (ELM-CA) based on the extreme learning machine simplifies the complexity of the CA model and can effectively improve simulation accuracy under small sample conditions. The proposed model is suitable for urban expansion simulation and prediction under complex land use conditions. XIE Wenxuan, HUANG Qingxu, HE Chunyang, et al. 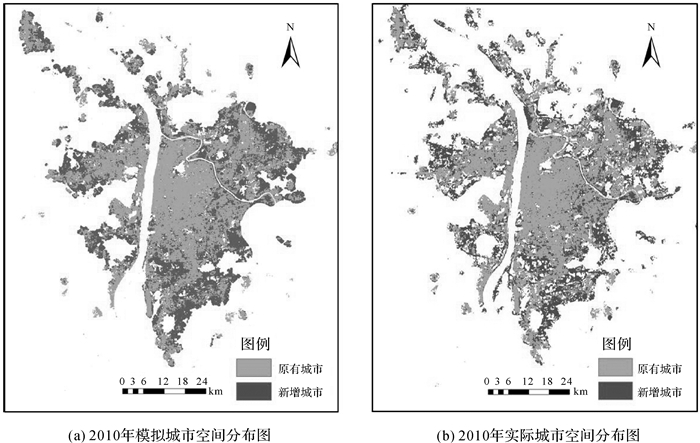 Projecting the Impacts of Urban Expansion on Simultaneous Losses of Ecosystem Services:A Case Study in Beijing, China[J]. Ecological Indicators, 2018, 84(3): 183–193. 裴凤松, 黎夏, 刘小平, 等. 城市扩张驱动下植被净第一性生产力动态模拟研究——以广东省为例[J]. 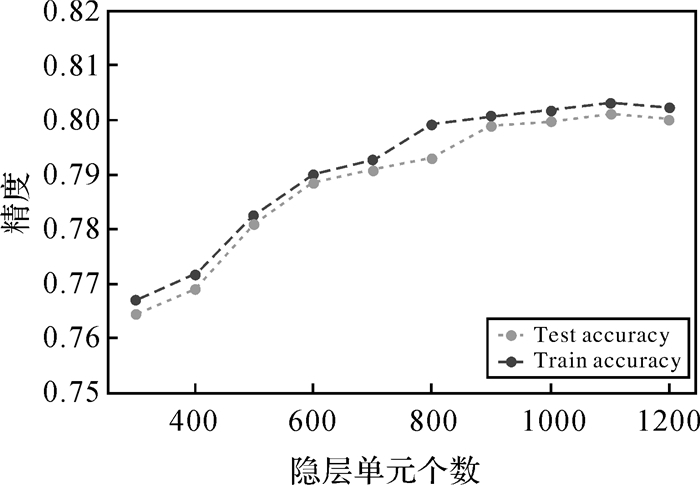 地球信息科学学报, 2015, 17(4): 469–477. PEI Fengsong, LI Xia, LIU Xiaoping, et al. Dynamic Simulation of Urban Expansion and Their Effects on Net Primary Productivity:A Scenario Analysis of Guangdong Province in China[J]. Journal of Geo-Information Science, 2015, 17(4): 469–477. 赵莉, 杨俊, 李闯, 等. 地理元胞自动机模型研究进展[J]. 地理科学, 2016, 36(8): 1190–1196. ZHAO Li, YANG Jun, LI Chuang, et al. Progress on Geographic Cellular Automata Model[J]. Scientia Geographica Sinica, 2016, 36(8): 1190–1196. 杨俊, 解鹏, 席建超, 等. 基于元胞自动机模型的土地利用变化模拟——以大连经济技术开发区为例[J]. 地理学报, 2015, 70(3): 461–475. YANG Jun, XIE Peng, XI Jianchao, et al. LUCC Simulation Based on the Cellular Automata Simulation:A Case Study of Dalian Economic and Technological Development Zone[J]. Acta Geographica Sinica, 2015, 70(3): 461–475. 赵晶, 陈华根, 许惠平. 元胞自动机与神经网络相结合的土地演变模拟[J]. 同济大学学报(自然科学版), 2007, 35(8): 1128–1132. 刘小平, 黎夏. 从高维特征空间中获取元胞自动机的非线性转换规则[J]. 地理学报, 2006, 61(6): 663–672. 张鸿辉, 尹长林, 曾永年, 等. 基于SLEUTH模型的城市增长模拟研究——以长沙市为例[J]. 遥感技术与应用, 2008, 23(6): 618–623. ZHANG Honghui, YIN Changlin, ZENG Yongnian, et al. 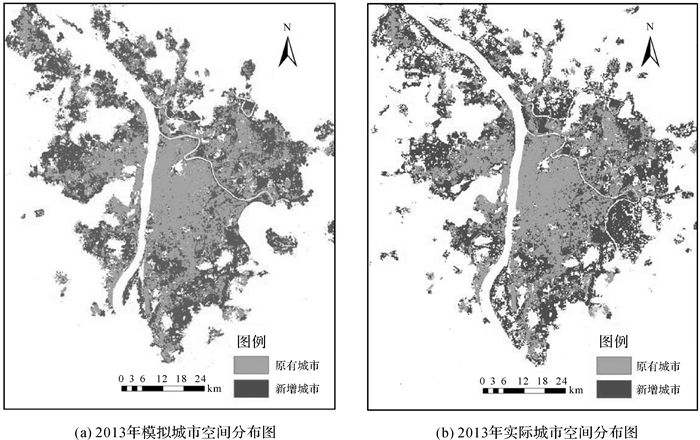 Study on Urban Growth Simulation Based on SLEUTH Model:Changsha City as an Example[J]. Remote Sensing Technology and Application, 2008, 23(6): 618–623. 刘小平, 黎夏. Fisher判别及自动获取元胞自动机的转换规则[J]. 测绘学报, 2007, 36(1): 112–118. 黎夏, 叶嘉安. 基于神经网络的元胞自动机及模拟复杂土地利用系统[J]. 地理研究, 2005, 24(1): 19–27. 黎夏, 叶嘉安. 主成分分析与Cellular Automata在空间决策与城市模拟中的应用[J]. 中国科学D辑:地球科学, 2001, 31(8): 683–690. LI Xia, YE Jia'an. Integration of Principal Components Analysis and Cellular Automata for Spatial Decisionmaking and Urban Simulation[J]. Science in China Series D:Earth Sciences, 2001, 31(8): 683–690. LIU Yaolin, TANG Wei, HE Jianhua, et al. A Land-use Spatial Optimization Model Based on Genetic Optimization and Game Theory[J]. Computers, Environment and Urban Systems, 2015, 49(1): 1–14. 黎夏, 伍少坤. 面向对象的地理元胞自动机[J]. 中山大学学报(自然科学版), 2006, 45(3): 90–94. ARSANJANI J J, HELBICH M, KAINZ W, et al. Integration of Logistic Regression, Markov Chain and Cellular Automata Models to Simulate Urban Expansion[J]. International Journal of Applied Earth Observation and Geoinformation, 2013, 21(3): 265–275. 李春林, 刘淼, 胡远满, 等. 基于增强回归树和Logistic回归的城市扩展驱动力分析[J]. 生态学报, 2014, 34(3): 727–737. LI Chunlin, LIU Miao, HU Yuanman, et al. Driving Forces Analysis of Urban Expansion Based on Boosted Regression Trees and Logistic Regression[J]. Acta Ecologica Sinica, 2014, 34(3): 727–737. 黎夏, 叶嘉安. 基于神经网络的单元自动机CA及真实和优化的城市模拟[J]. 地理学报, 2002, 57(2): 159–166. 詹云军, 黄解军, 吴艳艳. 基于神经网络与元胞自动机的城市扩展模拟[J]. 武汉理工大学学报, 2009, 31(1): 86–90. ZHAN Yunjun, HUANG Jiejun, WU Yanyan. Urban Expansion Simulation Based on Artificial Neural Network and Cellular Automata[J]. 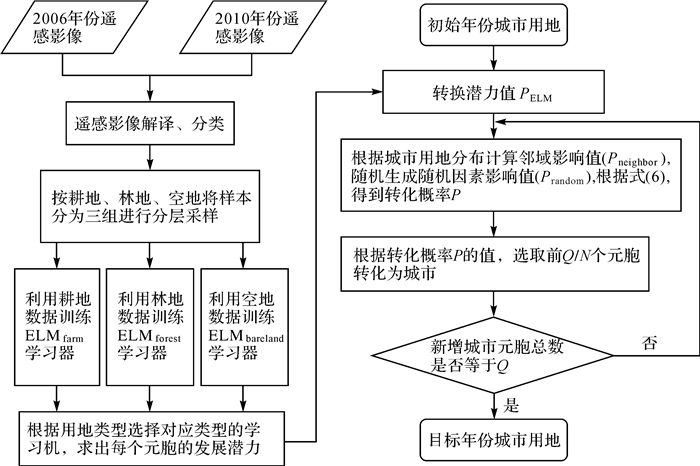 Journal of Wuhan University of Technology, 2009, 31(1): 86–90. REINE M B, HICHEM O, OMAR C, et al. Land Use Changes Modelling Using Advanced Methods:Cellular Automata and Artificial Neural Networks. The Spatial and Explicit Representation of Land Cover Dynamics at the Cross-border Region Scale[J]. Applied Geography, 2014, 53(1): 160–171. 刘小平, 黎夏, 叶嘉安, 等. 利用蚁群智能挖掘地理元胞自动机的转换规则[J]. 中国科学D辑:地球科学, 2007, 37(5): 824–834. LIU Xiaoping, LI Xia, YEH A G, et al. Discovery of Transition Rules for Geographical Cellular Automata by Using Ant Colony Optimization[J]. Science in China Series D:Earth Sciences, 2007, 37(5): 824–834. 黎夏, 杨青生, 刘小平. 基于CA的城市演变的知识挖掘及规划情景模拟[J]. 中国科学D辑:地球科学, 2007, 37(9): 1242–1251. LI Xia, YANG Qingsheng, LIU Xiaoping. CA-based Knowledge Discovery and Evolution of the City Planning Scenario Simulation[J]. Science in China Series D:Earth Sciences, 2007, 37(9): 1242–1251. 全泉, 田光进, 沙默泉. 基于多智能体与元胞自动机的上海城市扩展动态模拟[J]. 生态学报, 2011, 31(10): 2875–2887. QUAN Quan, TIAN Guangjin, SHA Moquan. Dynamic Simulation of Shanghai Urban Expansion Based on Multi-agent System and Cellular Automata Models[J]. Acta Ecologica Sinica, 2011, 31(10): 2875–2887. TAN Ronghui, LIU Yaolin, ZHOU Kehao, et al. 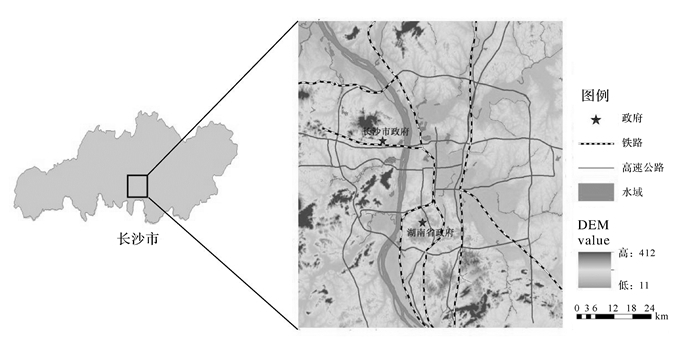 A Game-theory Based Agent-cellular Model for Use in Urban Growth Simulation:A Case Study of the Rapidly Urbanizing Wuhan Area of Central China[J]. Computers, Environment and Urban Systems, 2015, 49(1): 15–29. BIAN Zijin. The Study of High Resolution Remote Sensing Image Classification Based on Extreme Learning Machine[D]. Shenyang: Liaoning Normal University, 2015.